My 8 year old LOVES to read! 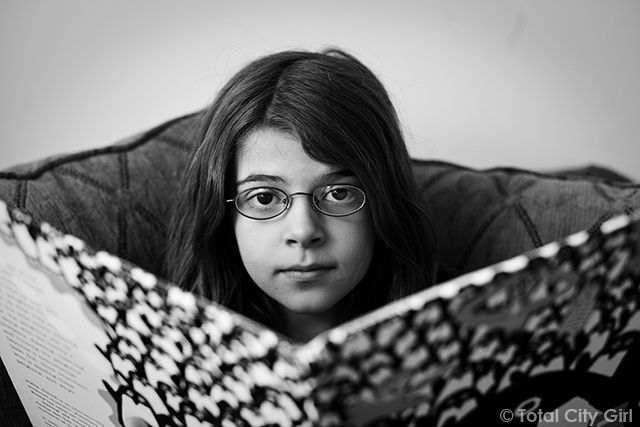 She’s in second grade and this year her reading level has skyrocketed! I love how she’ll just read on her own without being told to do so. When she comes across a word she doesn’t know, she stops to ask how to pronounce it and what the meaning is. She’s a total geek and proud of it! In contrast to my older daughter who if her homework says “read for 30 minutes” will actually set a timer and won’t read a second more. I don’t know how that happens in a family. Just shows how each person is completely unique and individual. Ask her anything about any movie though and she’ll be able to tell you. I thought I’d share a few of the things my younger one is currently reading. 365 Penguins – she’s had this since she was younger but still picks it up. Great story and the kids will learn something! Highlights Magazine – comes in the mail so that’s always fun! I remember always reading this at the doctor’s office when I was a kid. 100 Grossest Facts – really gross!! We love going to bookstores but honestly you can get a better price on Amazon. 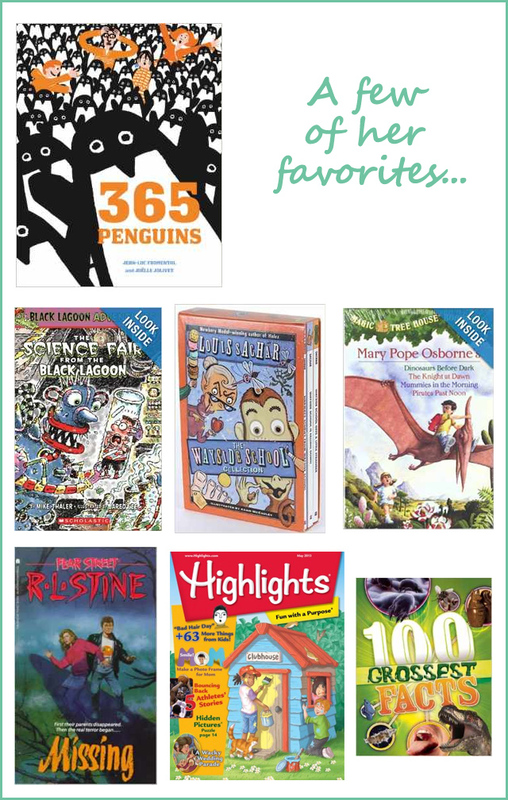 What are your kid’s favorite books or what were yours when you were a kid? I personally loved Judy Blume books!